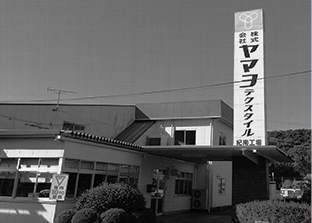 Started as a circular knit fabric maker of the private company at Mikazura, Wakayama-shi by grandfather (the late Yoichiro Yamashita) and father (the late Eiichi Yamashita) of the current president. KIWA KNIT CO., LTD. (current YAMAYO JERSEY CO., LTD.) split-up. 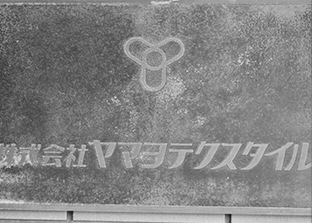 Established the new company of YAMAYO TEXTILE CO., LTD.
Reached the capital stock to 40 million yen. Transferred the right of business & machines to the new company. The late Eiichi Yamashita became the President and Representative Director. Kinan factory (current Head office) was established, and started operating. 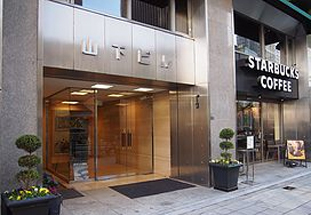 Increased the capital stock to 50 million yen. Received a Prize of Smaller Enterprise Agency’s Director as a result of the improvement of business operations. Ikuo Yamashita became the President and Representative Director. 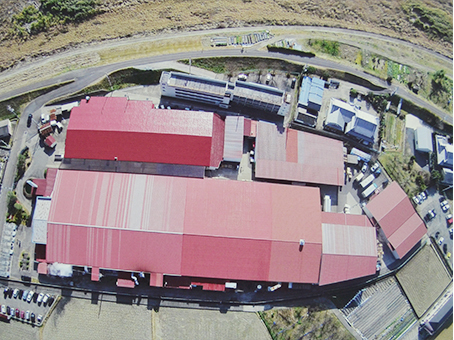 Integrated to aim for the rationalization of the Head office factory, and new factory was established. Head office is located in Kamitonda-cho, which is the gate of the world heritage of the “Kumano Kodo Street”. Many worshippers have been walked this “Kumano Kodo Street” from ancient times. It takes about 30 minutes by car from the Nankishirahama Airport. There are 10 twisting textured machines, and 130 circular knitting machines. They are operating 24 hours as a production base from twisting textured of the raw yarn to the production of the circular knit fabric consistently. We have a wide variety of knitting machines in order to respond to many kinds of needs from the customers. We are developing and manufacturing the materials which have high quality and diversity from this place like a secret base to the world. 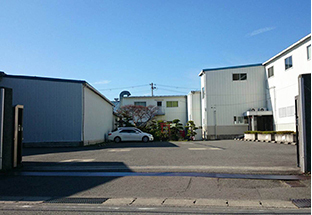 Mikazura, Wakayama shi, is the birthplace of the knitting fabric production in Wakayama, and still being the center of the production today. It can look up the Kimii-dera temple from this place, which is the 2nd temple of the Saigoku 33 Kannon Pilgrimage. 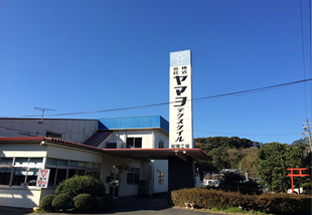 Wakayama factory is producing the circular knit fabric. The cotton yarn is mainly used, but many kinds of the other materials are also used. 55 circular knitting machines are operating 24 hours, and Wakayama factory has the production system which is capable of small and a wide variety of productions as well as the large productions. The development section was created in 2015. They propose the original products, they also develop the products in collaborate with the customers in order to respond to many kinds of customer’s requests. Osaka office is located close to the Higobashi station of the Yotsubashi Line of the Osaka Municipal Subway. Higobashi station is close to the center of the textile industry in Osaka, and is located south of the JR Osaka station. Osaka office is mainly handling the dyed fabric. We propose/sell the products which is excellent in fashion/function to both domestic and overseas markets. We will strengthen the sales of the dyed fabric much more in the future, and we will play a role as a frontline base of the YAMAYO TEXILE by taking advantage of the Osaka location, which is close to the market and has rich information. 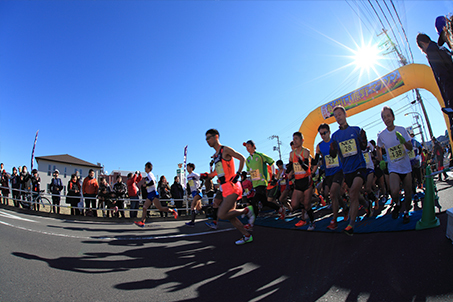 We serve as an official partner of “Kishu-kuchikumano marathon”. More than 5,000 people visit Kamitonda-cho from all over Japan for this “Kishu-kuchikumano marathon”. Our staff also take part in this marathon as runners and volunteers. In addition, we help many other sports events in Wakayama prefecture. We accept the factory tour from the local primary school children to the high school students and internship every year. We would like to hand down to the children who bear the future that Wakayama is the No.1 circular knit fabric production place in Japan, and greatness / pride of the manufacturing as well. This is the wish of YAMAYO TEXTILE.